“Winning isn’t everything; it’s the only thing” is a quotation oft heard in Sports. India from that dismal Test Series have recovered so well that they are in unassailable lead of 3-0 and can have the luxury of resting some of its players in the final ODI at Leeds. Modern day game is played more in the mind – and one player, Suresh Raina, has not only played well but also has raised the spirit of the entire team. Today’s TOI has an interesting one on another successful player of the Series – Ajinkya Rahana. The article reads that when Team India was celebrating their whitewash against Aussies, Rahane was almost slipping to depression over his wasted opportunity when he received a phone call that changed his career. It was Mumbai Ranji coach Pravin Amre – who felt hurt to see him fail. 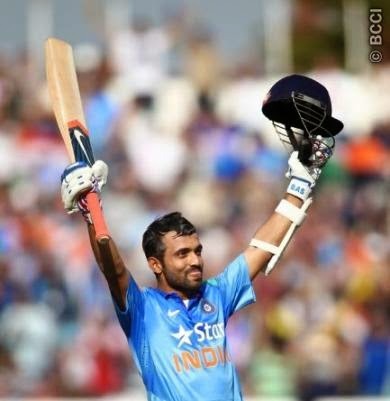 Amre's first task was lifting Rahane's spirits. In his words, criticism hurts Rahand and “I took him to a friend of mine -Abhay Poyarekar. He was a customs officer who had won a bravery award from the President of India,“ the former India batsman recalled.Poyarekar had received plenty of threats as well as bribery offers from the underworld after he averted a major bomb blast in Mumbai by seizing 18 detonators from a ship at Mumbai docks. Poyarekar's spine-chilling tale despite such a massive danger inspired Rahane no end. “I also took him to the founder of the Vedanta Group, Swami Parthasarathy for a session on mental health. Read elsewhere about a couple of years ago in Daily Mail that ‘Winning fights increases aggression, even in cricket’. 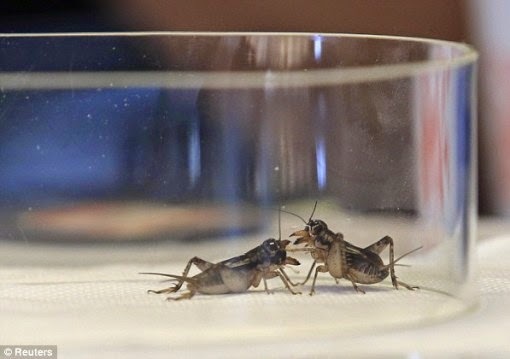 The article stated that the more victories someone notches up in fights, the more aggressive they become - and the same is even true for crickets, say researchers. Scientists from the University of Leipzig in Germany staged cricket ‘tournaments’ and found that the winners became increasingly wound up as they progressed. The study investigated the source of the heightened aggression, dubbed the ‘winner effect’, and discovered that increased levels of adrenalin were responsible. One need to read it again as the researchers, led by Paul Stevenson, studied 958 ‘crickets’ in total. It is not the game but insects - Crickets, family Gryllidae - somewhat related to grasshoppers which have somewhat flattened bodies and long antennae. They tend to be nocturnal and are often confused with grasshoppers because they have a similar body structure including jumping hind legs. Crickets are harmless to humans. The sound emitted by crickets is commonly referred to as chirping; the scientific name is stridulation. Only the male crickets chirp. The sound is emitted by the stridulatory organ, a large vein running along the bottom of each wing. It is a popular myth that the cricket chirps by rubbing its legs together. The calling song attracts females and repels other males, and is fairly loud. Crickets, like all other insects, are cold-blooded. They take on the temperature of their surroundings. The researchers found that the winner effect is actually temporary with the aggression levels returning to normal around 20 minutes after the fight. They also found that treating the crickets with a chemical called epinastine, which interferes with the invertebrate equivalent of the adrenaline pathway, abolished the winner effect, suggesting that adrenaline flow is involved in aggression increase. Adrenaline is a naturally produced hormone that is produced in stressful or exciting situations. The main physical effects are an increased heart rate, contracted blood vessels and the expanding of air passages. Insect fighting is an activity involving insects (and sometimes, arachnids, centipedes, millipedes and mollusks). It is practiced in areas in China, Japan, Vietnam, and Thailand. Cricket fighting is a traditional Chinese pastime that dates back to the Tang Dynasty; it is a blood sport involving the fighting of male crickets. Crickets have pedigrees and would be carefully bred by knowledgeable keepers. Each cricket must be kept in its own clay pot and their diets include ground shrimp, red beans, goat liver, and maggots. It is reported that there are large numbers of cricket fans and hence rearing winning cricket becomes expensive.